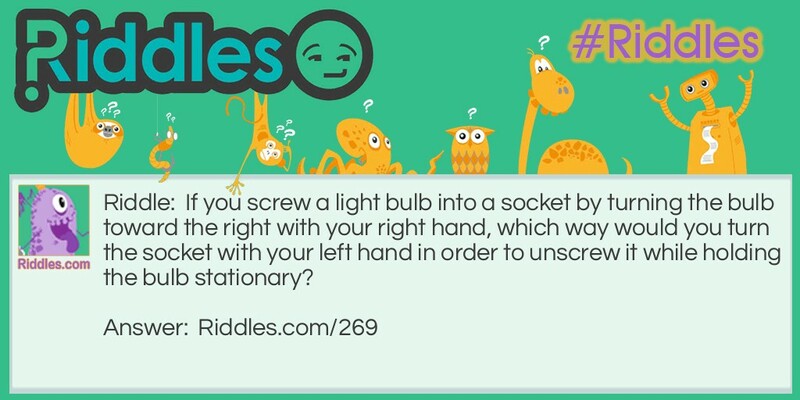 If you screw a light bulb into a socket by turning the bulb toward the right with your right hand, which way would you turn the socket with your left hand in order to unscrew it while holding the bulb stationary? To the right. It's always the same direction. That Which Way Riddle Meme with riddle and answer page link.